I know I fight for a good night’s sleep and I am sure there are many of you that do as well. Are you fighting with the tossing and turning, insomnia, lack of REM & deep sleep and/or painful sleep? Yep, me too!! When my children were young it seemed they never let me sleep. As I have gotten older (and my girls too) my fibromyalgia has set my body into a whirlwind and one of its torturous effects is minimal sleep that I don’t even consider worthy to count. Sometimes it’s just a really busy schedule and my mind is racing – sleep doesn’t stick around for that. What are some of the reasons that your sleep is stolen away from you? These are just a few of the reasons you may not be able to sleep and the list could go on I am sure. For me, I can say I have been affected by each one on this list. At different times in my life, I could even say that all of these reasons affected me all at the same time! When I searched WebMd for some articles on the impacts of not getting enough sleep the list ranged from Lack of Sleep Threaten Kids’ Health to How it Can Effect Brain Function, and also that Lack of Sleep Disrupts Genes. In fact, the search on their site came up with 12,183 results. Lack of a good night’s rest can cause havoc in one’s life. In my own life, it has affected my memory, energy levels, depression, anxiety, widespread pain in my body, migraines, extreme irritability just to name a few. I started a while back trying to come up with ways that would help me find the much need sleep I craved. There are a few things that seem to work. I don’t always do all of them together, or all the time, but there are a few that are a must. 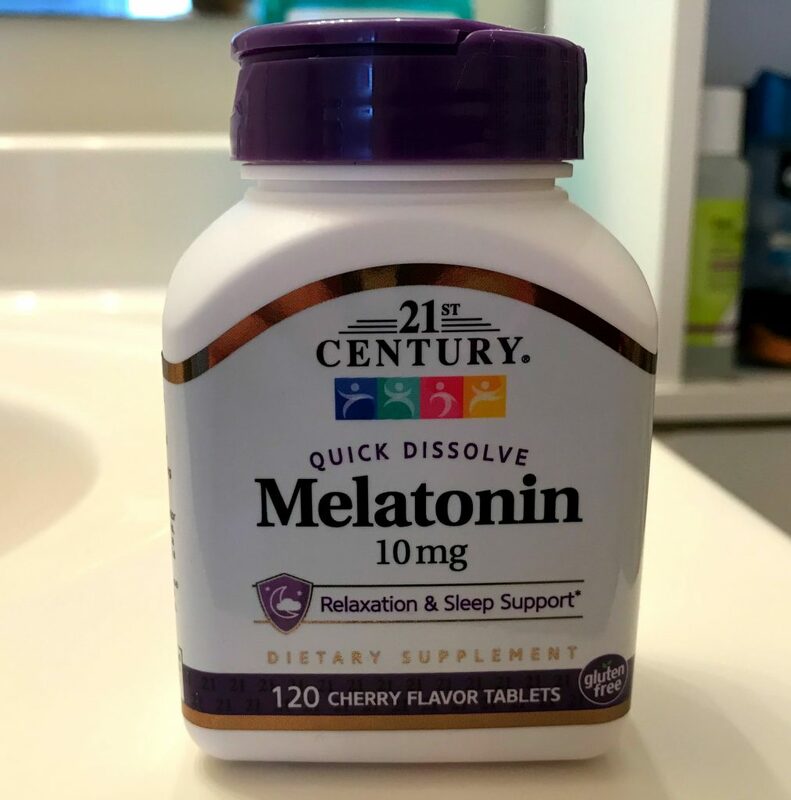 Melatonin – This is my go to and if I run out I am a mess! I was actually introduced to this wonderful natural sleep aid by Angie from Losing it & Loving it. It really does help your body get some sleep. I am currently using the 21st Century brand (good price as an add-on item on Amazon). I also have used the brand Natrol too. I prefer the dissolvable tablets that go under your tongue. I choose the 10mg tablets, but I do know they have smaller doses. 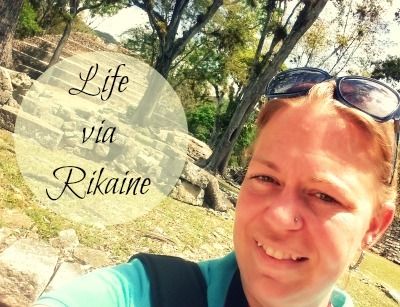 Check it out – melatonin has really saved my life! 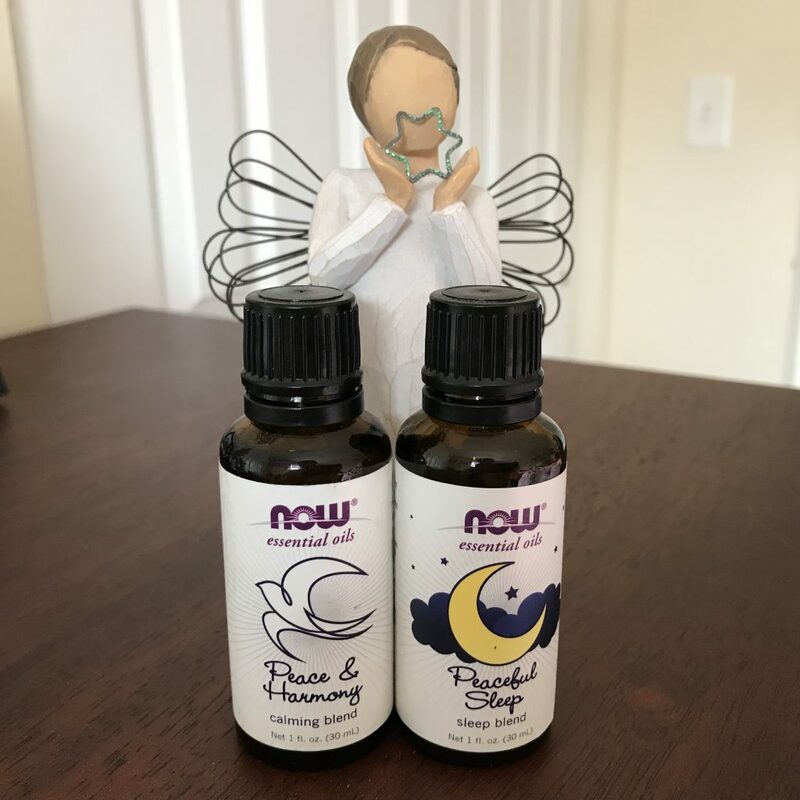 Essential oils – Another all natural way to get some sleep is by using essential oils. I know there are a few different fragrances that work but my 3 go to scents are cedarwood, lavender, and peaceful sleep. I really enjoy the NOW brand. They are offered at a very reasonable price and I have found them to work. 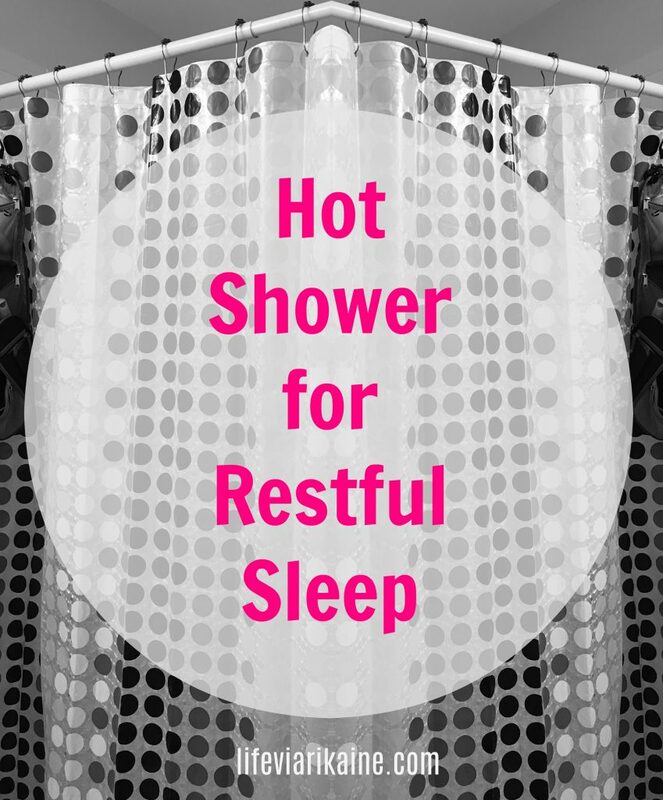 Cedarwood stinks a bit (like moth balls) and lavender can be a bit strong BUT the sleep results are worth it. I dab some on my feet and go to bed. The scents are far away from my nose so I can’t even tell. Ambient noise – I just recently began to try this. Now if I had known about ambient or white noise when my oldest was a baby then perhaps I would have slept a bit more. She never slept and she could have used this herself. I use an app on my phone and fall asleep to the rain. It’s my favorite, but you can choose so many other sounds like a stream running, a fireplace, birds, thunderstorms, whales, a fan etc. My youngest (12 yrs old) has begun to use this type of app too. She swears by it, her sleep has improved greatly. Her go-to sounds are seagulls, crickets, and the fire crackling, In fact, she blends them all together 🙂 Please know, not all the sounds are the same in different apps. Try out a few different apps to see which one you like best. I personally use the Sleep Pillow app offered on my iPhone – it’s free! I set it for an hour, there are different settings. Also, I recommend you turn your electronic item over so the bright light is covered some. Mask – Over the last couple of months I have been using an eye mask when I sleep. The first time my husband saw me do this – he laughed. Well, that didn’t stop me. 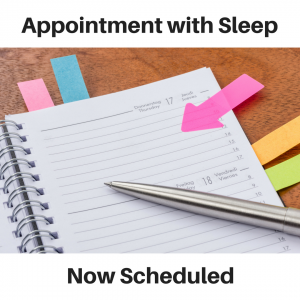 I am glad it didn’t – my sleep has greatly improved with this one positive change. Light actually can cause your body to be stressed. Sleeping with the TV on is really bad. Blocking out light, as much as you can, will change your life. My sister once told me she was losing her hair because she slept with the lights and TV on (according to her doctor). The mask I am using right now is one of my daughter’s. You could say I have taken it over. I plan on ordering another soon. Fitbit – Tracking your sleep patterns can really help. In my experience, when I wake up, I can usually tell if my Fitbit will say that I hit my sleep goals. I am usually correct 9/10 times. Getting sleep is important, but there are different levels such as REM, light sleep & deep sleep. All are very important parts and serve different functions. When one is out of wack – you can feel it. Also, it will tell you how long you have been awake. With my fibromyalgia, the hardest type of sleep to get has been both REM and deep sleep. When you track your night’s rest the possibilities of why you didn’t sleep could be figured out or at least you can discuss your findings with your doctor. Stretching & Shower – I don’t stretch or take a shower before bed all the time, but it is a choice I like to make and it does help. I am a shower in the morning type of girl, but sometimes, after a very long day, I like to take a hot shower before I lay down for the night. Taking a bath is another option, you can add essential oils, but I have a hard time getting out of the tub. Plus, it’s a bit hard and hurts my body when I sit in it for too long. I like to add some stretching to my routine usually for about 10 minutes or so. I find it helpful and relaxing. 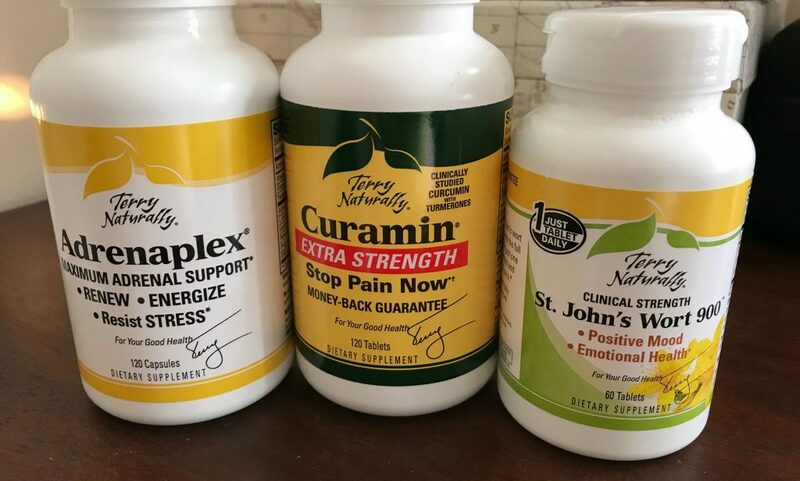 Vitamins/Supplements – Currently I take a few natural supplements from Terry Naturally that really have begun to help, not only my sleep but my overall health. The Curcamin (extra strength) has been amazing! I actually take this for the inflammation and pain in my entire body. When I don’t take it my Fitbit will most likely show that I didn’t hit my sleep goals. I really am not kidding!!! If I take it on a regular basis I will get sleep, because with less pain I am able to rest. I also take St. John’s Wort 900 mg. This helps with mood and emotional help. If depression and anxiety are managed then sleep will come. The Adrenaplex helps with energy during the day and to resist stress – we could all use some of that right?! 🙂 I have found that if there are more healthy ways to have energy during the day then I will be ready to rest in the evening. Read a good book – I love to read! Reading helps me to destress and just chill. Some of you may not like to read. Perhaps you think it’s boring (that is my husband), but if you think about it, if you’re bored you will begin to snooze in no time. LOL! My only important recommendation is to get rid of the Kindle (or other electronic devices) at night. Try it the old fashioned way – a book in hand, flipping actual pages. I love both a physical book and also the electronic versions (easier to travel places far away with it on your phone etc), but the light from your tablet will not really let you relax. Staring at a screen does not bring on a relaxed body & mind. Exercise – Daily activity should help you prepare for a good night’s rest. I can’t really say whether you should exercise during the morning or night. That I feel is a personal preference, along with whatever schedule you may have. In my experience sometimes when I exercise at night I am wound up. 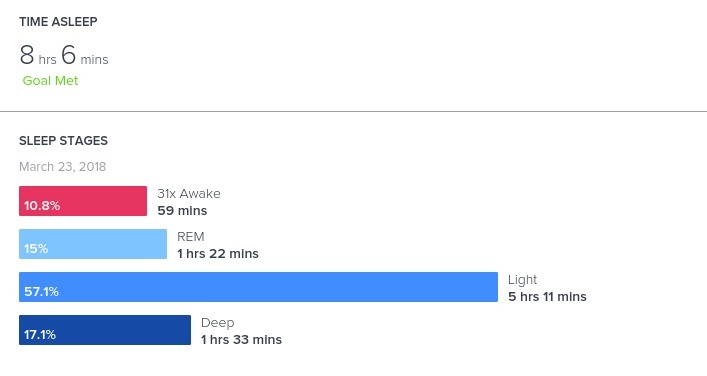 If that is the case I have to extend my night time routine out a bit to account for winding down & feeling relaxed. I love walking and have recently found walking videos by Leslie Sansone (been around for a long time). Loving it so far!! Another useful tip that I thought of, and need to do more, is journaling. I used to do this a lot when I was younger, but only here and there in the last few years. I know when I wrote things down I was able to work through things. Writing things down should be for your eyes only unless you want to share with someone. There are so many reasons to journal (future blog post) – perhaps you need to vent, record a praise or blessing, list out ideas to be worked on for the future, create a letter to someone that has hurt you or just to doodle. The reasons are endless, but the action of writing it down can create a more peaceful heart – leading to restful sleep. 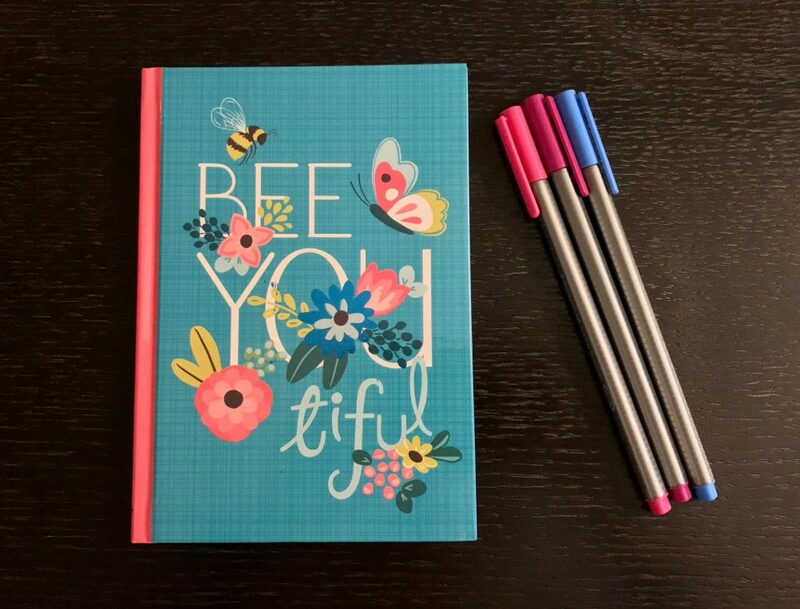 Pick a journal that suits your personality and makes you smile when you see it. Mark it up (I absolutely LOVE these marker pens), sketch things out and create your dreams. So there you have it. Some useful ways, that help me, to get a good night’s rest. Try a few or try them all. Play around with what works for your lifestyle. Perhaps there are a few that already work for you that are not on this list. What are some ways you get to sleep that have been found to work? Share them in the comments below. I would love to hear your ideas.